This is an extremely rare ecclesiastical Georgian style ring. 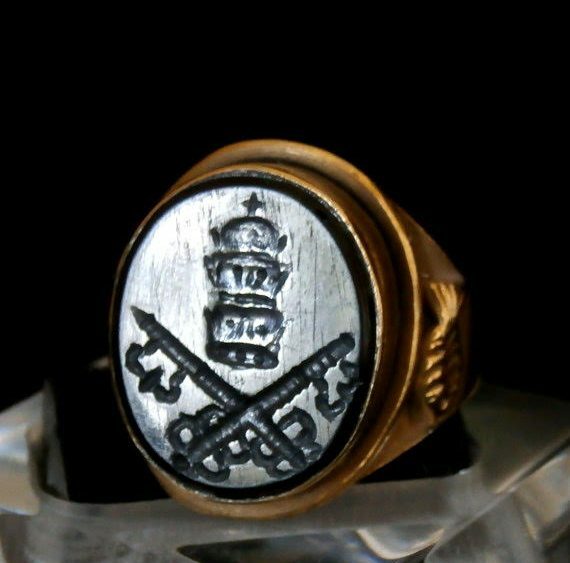 It is a commemorative ring, possibly remembering the death of Pope Clement XIV, dated 1774. It is an extremely interesting ring of unusual design and powerful in its simplicity. The ring is of fine silver with a mercury applied gold gilt surface. The band is of a flattened convex type which rises to wide signet shoulders. To each shoulder a Christian symbolic fish is seen. 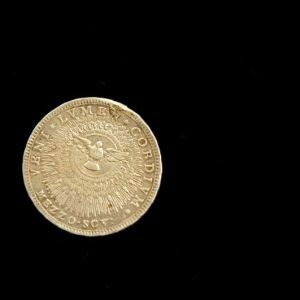 The bezel frame is a counter sunk oval at 2 cm in length with a finial lip casting and typically Georgian in style with a closed reverse case. Rising above the lower bezel is a collar case which holds a jet black onyx gem of chalcedony. The stone is cut as an intaglio and details an expertly ha d crafted image of the cross keys symbol, indicative of the Holy See of Rome and the Vatican symbol of State:=. 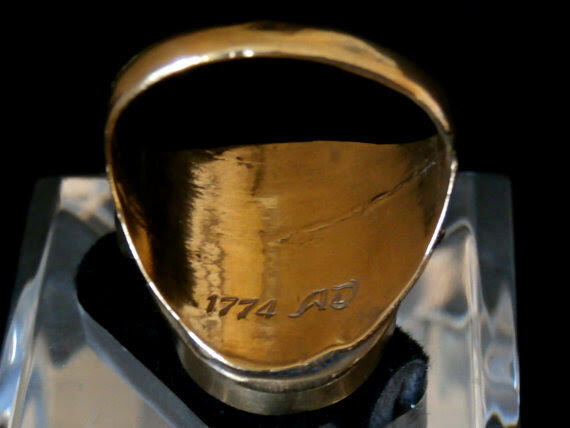 The ring has a date inscription in italic script to the reverse of the bezel case reading 1774 AD. 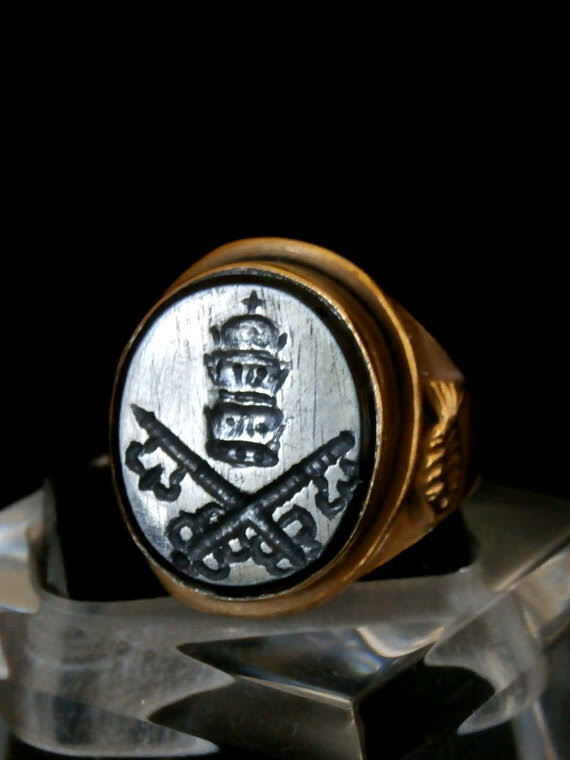 It is believed this ring is a commemorative ring which may have been made to mark the sudden passing of Pope Clement XIV who died in September of the 1774. The ring is considered to be highly historical with its own energy and unusual, pleasing design. Giovanni Vincenzo Ganganelli was born at Sant’ Arcangelo in 1705, the son of the village doctor who died when Giovanni was a child. He joined the Franciscans at seventeen years of age and took the name of his father, Lorenzo. He graduated with a doctorate in theology in 1731 and lectured for years at Franciscan colleges. He earned a reputation as an accomplished preacher in several cities before being appointed rector of St. Boniface’s in Rome in 1740. Admired as an author, in 1743, he dedicated his work, Diatriba theologica to St. Ignatius Loyola, the founder of the Jesuits. In 1759, he published a report, in response to ritual killing of Jews in Poland expressly condemning the actions of Polish bishops against the Jews. However, this report was not published until 1888. 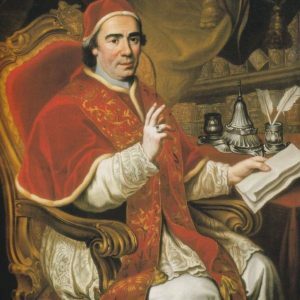 Benedict XIV made him a consultant to the Holy Office in 1746 and he declined twice to be promoted by his own order, which made future papal appointments possible. In 1759, Clement XIII made him cardinal priest. Ganganelli was accomplished as a theologian as well as in the arts and in horsemanship. Personally, he was reserved and seemed to lack confidence, which manifested itself in his preference to work alone, and as pope, in allowing cardinals no role in decision-making. 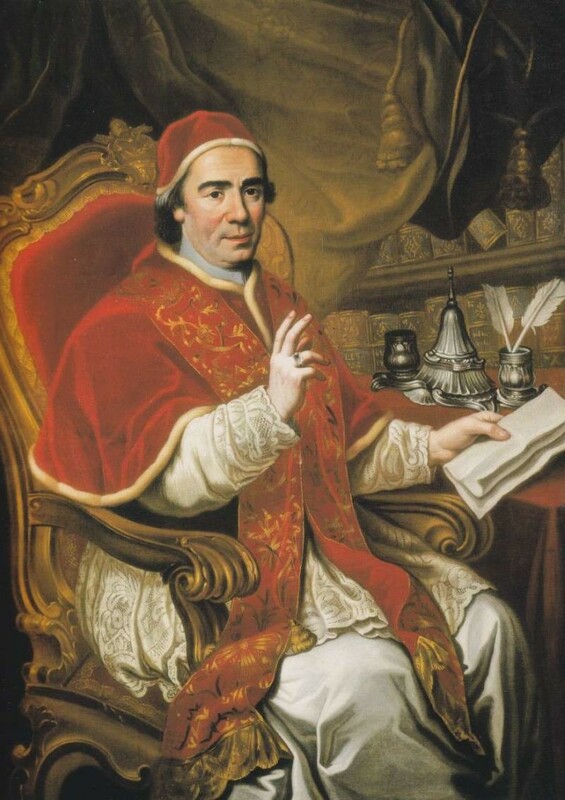 About this time, Cardinal Ganganelli began to distance himself from the Jesuits and from Clement XIII’s stringent opposition to the Bourbons in power and who were critical of the Jesuits. 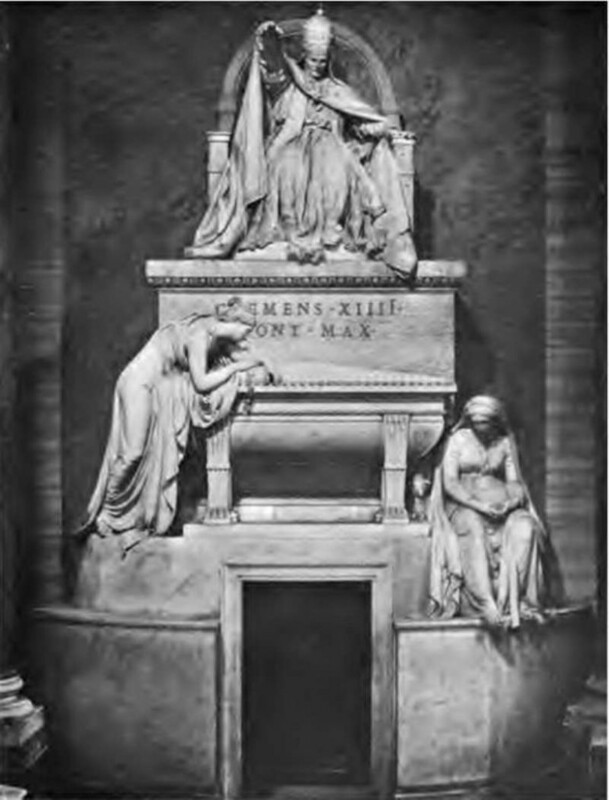 Upon the death of Clement XIII in 1769, a crisis was threatening the Church. 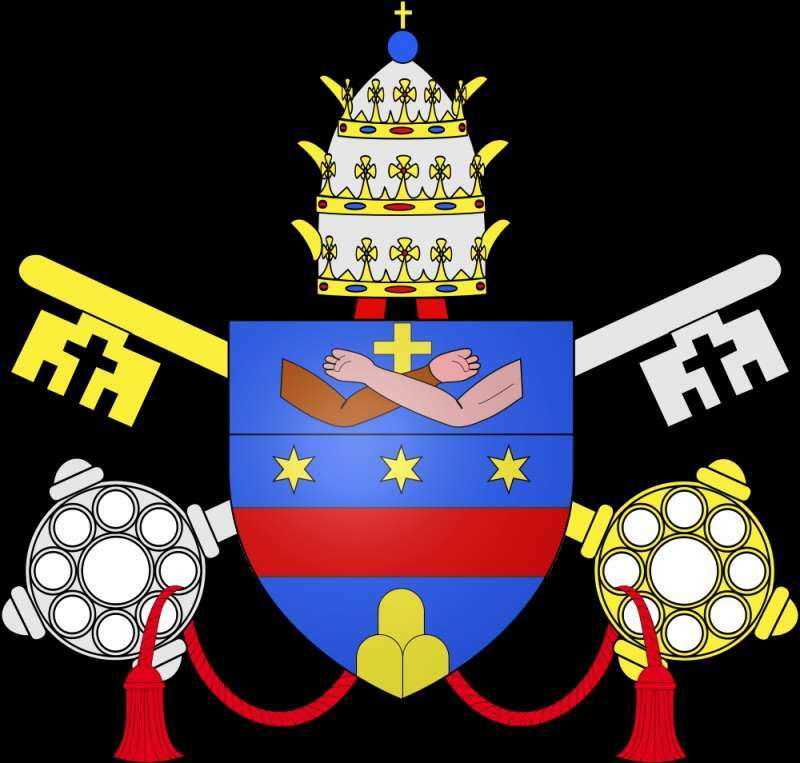 The Catholic powers in Europe were demanding from a new papacy the suppression of the Jesuits who were historically aligned with the popes from their inception. The political climate was characterized by great changes wrought not only by the beginnings of an industrial revolution and unrest which would lead to the French revolution, but also by a materialistic philosophy that dominated the thinking of the era. Changes in mentality during this new era would prove to be the greatest challenge to the Church since the Reformation. At the conclave, the Bourbon monarchs threatened to veto any pro-Jesuit candidate. 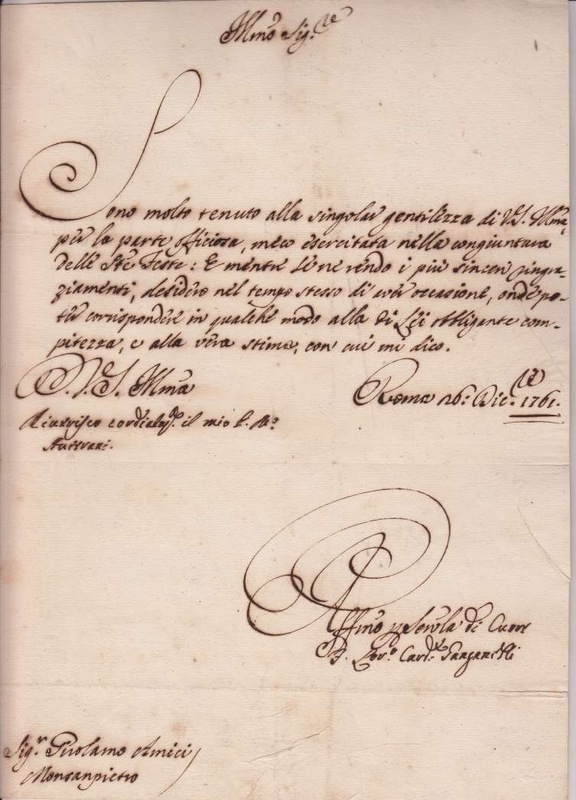 The cardinals eventually chose Ganganelli who gave no promise of suppression but had agreed, at least verbally, that it was a canonical possibility. Voting was repeated 179 times in a conclave that lasted three months and was anything but closed. Eventually the empress, Maria Theresa, sent her eldest son, the archduke, to the conclave. He let it be known that she who had been such a good friend to the Jesuits would now favor the candidate who dissolved the order. 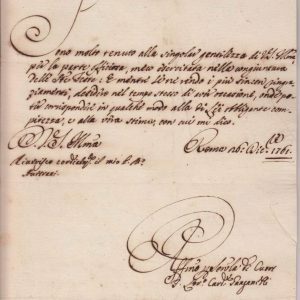 Ganganelli was the unanimous choice in May of 1769. He took the name of Clement XIV and would rule for nearly four and a half years. He was sixty-three years of age. His name is forever tied to the decision to suppress the Jesuits. While he delayed his decision for three years, he did dictate the bull, Dominus ac Redemptor noster in August of 1773. The society was dissolved and their general imprisoned in Castel St. Angelo where he eventually died. The pope’s reason was that the Society no longer fulfilled its original role and no lasting peace would come as long as the Society of Jesus remained in existence. 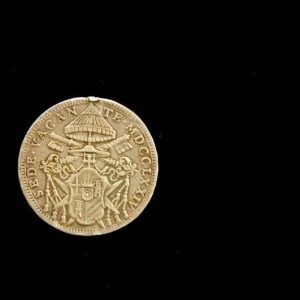 The Jesuits had been formed expressly to serve the papacy during the Reformation. 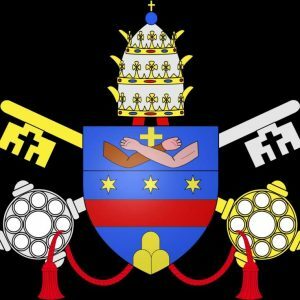 And now, in the climate of a weak papacy and strong secular powers, during a time of burgeoning new philosophies and new political movements, the Church was dissolving the very society that had been raised to defend it. Jesuit missions and European education received a shattering blow for it was the Jesuits that had been at the forefront in the creation of missions around the world and Catholic educational institutions. All the Catholic powers implemented the terms of the bull. Russia and Prussia, however, refused to implement the terms and it is because of them that a Jesuit remnant would emerge in 1818, restored. It should be noted that the Catholic Encyclopedia contains a detailed account of the suppression of the Jesuits in its biographical information about Clement XIV. Their suppression was not in the form of a bull, but a brief, which is to say it was a decree of less binding force, making it easier to revoke. No personal animosity guided (Clement’s) action; the Jesuits themselves, in agreement with all serious historians, attribute their suppression to Clement’s weakness of character, unskilled diplomacy, and that kind of goodness of heart which is more bent on doing what is pleasing than what is right. He was not built to hold his head above the tempest; his hesitations and his struggles were of no avail against the enemies of the order. Appeasing the Catholic powers brought some changes. Diplomatic relations with Portugal were reestablished and a nuncio was readmitted to Lisbon. 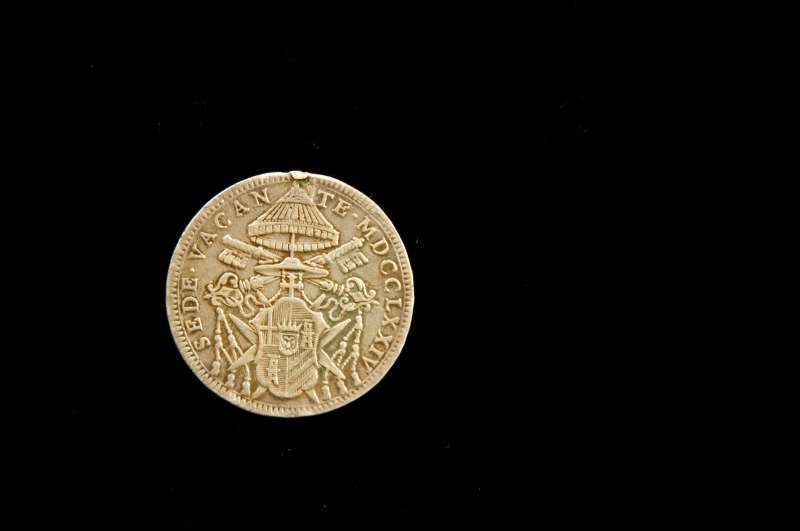 The European sovereigns restored lands they had usurped from the Church while awaiting the Jesuit suppression. Avignon, Benevento and Pontecorvo were handed back to the Church. In his defense, Clement cared very much that the ex-Jesuits not be persecuted and should be allowed to continue as secular priests. Pope Pius XII (1939 –1958) said of Clement, Under the pressure of the unjust and envious secular forces of the times, in a sea of dark foreboding, a Father’s hand sacrificed the Society of Jesus for the tranquility of the bark of Peter. The changes wrought by the dissolution of the Jesuits were short-lived as the monarchs continued to whittle away at Church authority. To his credit, Clement had little patience for the financial and administrative shortcomings of the clergy and bishops. In his first year in office he issued a bull condemning abuses in taxes and benefices. He brought hope and less persecution to Catholics in England by hospitably receiving members of the royalty in Rome and by abandoning support for the exiled Stuarts. Well-intentioned plans to rehabilitate the finances of the Papal States through industry and agriculture were unsuccessful. In Rome he enriched the papal collections and started the Clementine Museum. It is not surprising that depression and a morbid fear of assassination troubled him in his final year as pope. He seemed to be crushed under the weight of sorrow. At the time of his death it was thought he may have been poisoned but an autopsy revealed this to be untrue. At his funeral, no mention was made of the suppression of the Jesuits. The prestige of the papacy had sunk to the lowest level in centuries. 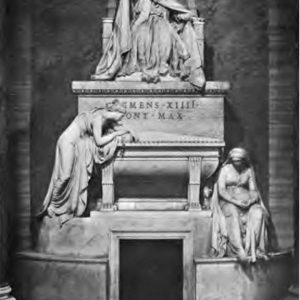 In 1802, Pope Pius VII moved his remains from St. Peter’s to the church of the Most Holy Apostles and placed a monument there in his memory.